As a registered WE School, YLSBC is authorized to undertake local and global initiatives outlined by the WE Schools program. YLSBC's members have chosen to support women in India to learn self-reliance and earn livelihood on their own. For the global & local initiative, YLSBC raised funds through its Coquitlam Crunch Challenge and MOSAIC cultural event held this year. The funds were donated to WE charities and utilized for free hot meals. 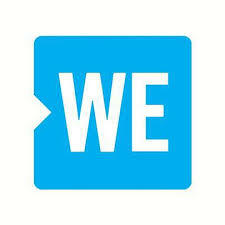 Every year, WE Day brings together 22,000 like-minded youth at the Rogers Arena in Vancouver, British Columbia. Some of the past WE Day speakers were the Dalai Lama, Selena Gomez and Mikhail Gorbachev. YLSBC youth attend this event every year. YLSBC has partnered with Coquitlam-based Hope for Freedom Society, which provides a variety of outreach and professional services to support individuals and families who are challenged by family breakdown, illness, job loss, addiction, or poverty. YLSBC's members and their families have joined Hope for Freedom Society's Meals Program and regularly serve free hot meals. YLSBC youth celebrate festivals with the members of the community as their outreach activity.